After a series of contacts with the new administration in Washington, Turkish President Recep Tayyip Erdogan kicked off a tour of the Gulf States, including Bahrain, Saudi Arabia and Qatar. Speaking to Sputnik, renowned Turkish Middle East expert Husnu Mahalli explained that Turkey is coming to an important crossroads on its Syria policy. Speaking to Sputnik Turkey on Tuesday, Mahalli commented on the developments which can now be expected in northern Syria, particularly in light of Ankara's desire to participate in the military operation to liberate Raqqa from Daesh (ISIL/ISIS) terrorists. According to the expert, Ankara's actions, and Erdogan's statements during his visit to Riyadh, indicate an apparent attempt at rapprochement with the Gulf States on the Syrian issue, and a step back from cooperation with Russia. This, he warned, could have a very serious effect on the balance of power in Syria and throughout the region. According to the expert, in a situation where the prospects of a political settlement to the Syrian crisis remain uncertain, the balance of forces in the conflict will come to depend largely on Turkish strategy and position. "As is well known, a significant step toward Syrian settlement has been made by the Turkish-Iranian-Russian cooperation framework. The clearest example of this has been the negotiations process in Astana," Mahalli recalled. "However, taking into account the content of the recent conversation between Erdogan and Trump, followed by CIA Director Pompeo's visit first to Turkey and then to Saudi Arabia, as well as Edogan's statements in the course of his ongoing tour of the Gulf States, a picture emerges which, unfortunately, is not so rosy as far as the prospect for the settlement of the Syrian process goes," the expert added. At the same time, Mahalli explained, "the possibility of a rapprochement between Ankara and the US-supported Gulf States makes Turkey's gradual retreat from its close cooperation with Russia on the Syrian issue a real possibility." Mahalli pointed out that the Gulf states are well-known for their support of radical Islamist groups in Syria, and added that he sees a contradiction between President Trump's campaign promises regarding the fight against Radical Islamism and the current position of the US administration, specifically as it relates to US support for the Gulf States. In the observer's view, these circumstances make it very difficult for Ankara to keep focus in on the correct approach to its foreign policy. "Over the last five years, which have been marked by the bloody events of the 'Arab Spring', Turkey has made many serious foreign policy mistakes. Ankara made grand plans – of neo-Ottomanism, a new caliphate, a sultanate, etc. All these projects proved unworkable," and Ankara been pushed back to where it started from, Mahalli noted. "Now," he stressed, "the Turkish government is trying to strengthen is position by taking tactical steps; this is facilitated by the regional and international processes that are currently taking shape. 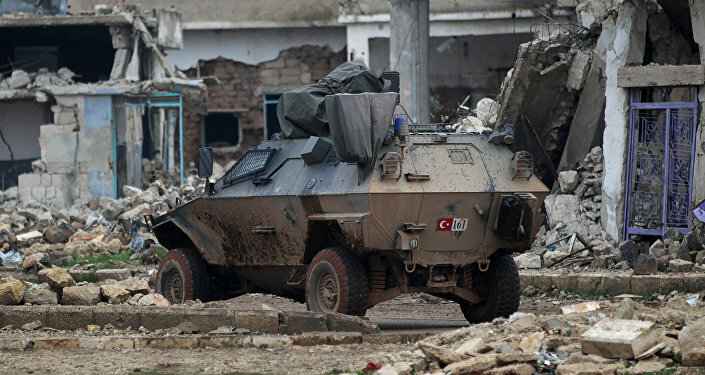 However, Ankara's actions cannot be called a holistic, well-designed strategy. And this creates a dangerous situation." Trump, the analyst noted, "is making a number of commitments related to the fight against radical Islam, but against this background, the head of the CIA comes for a visit to Saudi Arabia, and presents the crown prince with a Medal of Merit in the fight against terrorism." This, Mahalli lamented, "is happening at a time when Saudi ties to and financing for radical Islamist terrorist groups around the world, beginning with the Muslim Brotherhood, Al-Nusra, al-Qaeda, the Taliban and ending with Daesh, have all been revealed. But is this information used effectively? Is the [US-led] international coalition in Syria taking any tangible action to eliminate terrorists?" "No," the analyst stressed, it's not. "The coalition is idle. 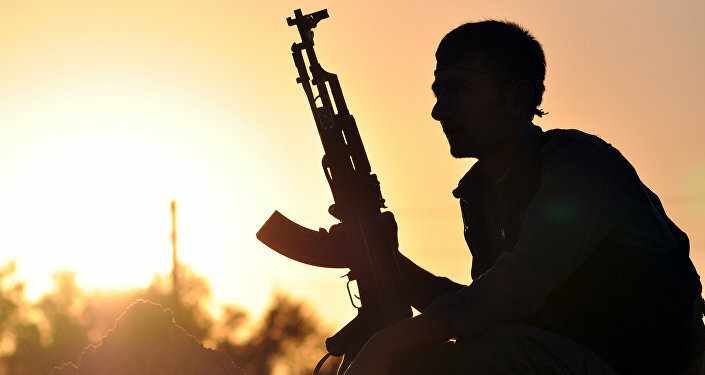 The only thing that we have seen from this coalition since its inception is bombings aimed at protecting the positions of Kurdish forces and the provision of support to these forces." In this light, Mahalli noted, there is a certain level of danger in Ankara's possible response to US policy. "Over the past two weeks, President Poroshenko of Ukraine tried to organized all sorts of provocations [in eastern Ukraine]…Now, the Turkish foreign minister, Mevlut Cavusoglu, has traveled to Kiev. During the visit, he held talks not only with Ukrainian leaders, but also met with Crimean Tatar representatives. During this trip it was announced that Turkish and Ukrainian citizens would be able to travel to the other country using internal passports." "I do not think that Moscow appreciates these processes," the analyst noted. "And this, in turn, may affect both the Russian-Turkish dialogue on the Syrian settlement." Ankara's relations with Iran too are facing strains, the expert noted. Amid President Erdogan's visits to Bahrain, Saudi Arabia and Qatar, Iranian President Hassan Rouhani took his own trip, visiting Kuwait and Oman. "Thus, a number of tactical steps are showing that the parties are not prepared to turn a blind eye to one another's provocative actions. This is something which gains a particular importance now, when Turkey, it turns out, has been literally bogged down in the swamp of the Syrian conflict," Mahalli noted. Commenting on Turkish officials' recent statements of their intent to advance toward Manbij and Raqqah following the completion of the operation in El Bab, Mahalli emphasized that an independent operation to take Raqqah is simply not feasible for the Turkish Armed Forces. This is the case due to the extremely confusing situation in the zone of military operations, complicated by the presence of a large number of actors, each pursuing their own interests. 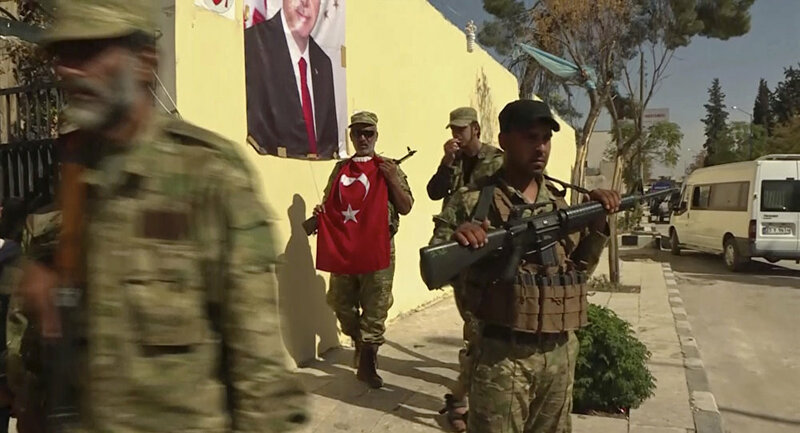 The observer recalled that Turkey and fighters from the Free Syrian Army haven't been able even to fully take control of the situation in Jarabulus. "On paper, FSA forces control Jarabulus. But as soon as Turkish troops leave the area, the FSA will lose their positions instantly. 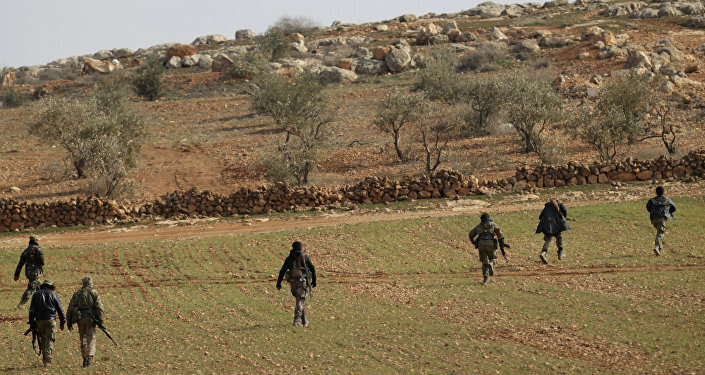 FSA fighters are nothing but a glorified gang of highway robbers, unable to agree with one another on anything; talking about their joint control over any territory would be a waste of breath," Mahalli stressed. "In Jarabulus, protests against the FSA have been happening for several days now. The unrest among the population was only able to be suppressed after the intervention of the Turkish military. The situation is ready to get out of hand at any moment. Based on my knowledge of the tribal structures typical of the region, I can say with confidence that Turkey will find it very difficult to keep control even over those territories that it has occupied." Ultimately, Mahalli noted, "a great deal will depend on what strategy Turkey chooses to take, and whether she will decide to risk its own resources for the sake of its ambitious plans."